In Adauli, Bulandshahr mob attack on another community members because of the cow’s carcass was found in the pond after which the carcass was sent to post-mortem and then buried. 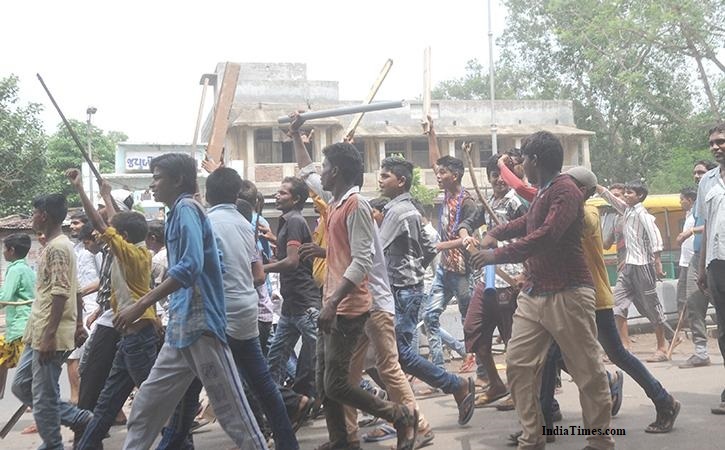 After, the police went the group of another community youth started beating and loot the houses of the locals of Adauli village and also destroyed the two Mosques.SP (city) Praveen Ranjan said, “A PAC battalion has been deployed in the Area. And, people also gone from the area because of the fear and people from both sides have been arrested and ten others were taken into custody for interrogation. In these many peoples were beaten due to the stone pelting.